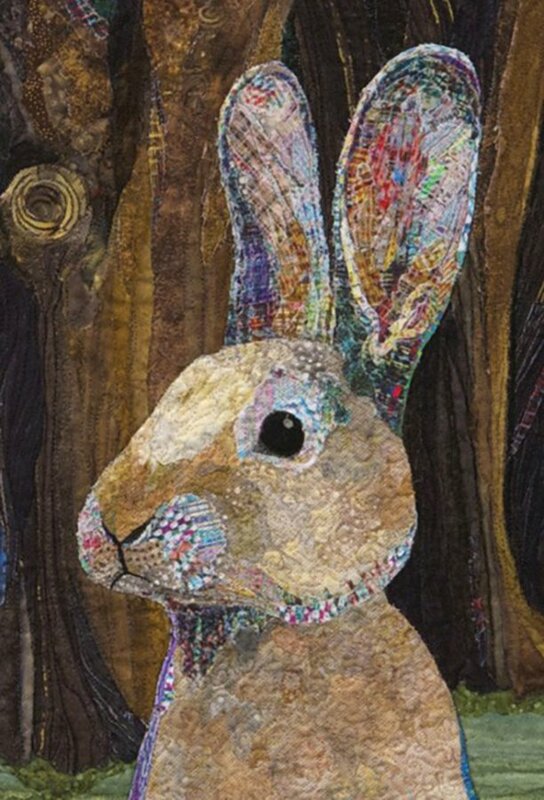 Using collage techniques, Rosemary will teach you skills to make the Enchanted Rabbit’s portrait in fabric. You will work on color values, fabric choices, assembly and quilting techniques. Kit fee $30, payable to Rosemary in class. Kit includes Enchanted Rabbit pattern, the design copied onto muslin, fabrics needed to completely collage the rabbit, detailed nose and eye templates.